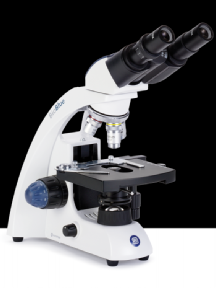 Euromex offers 3 excellent models ranging from the MicroBlue scope with small footprint, and bright sharp image up to the BioBlueLAB with Brightfield and Phase Contrast models. 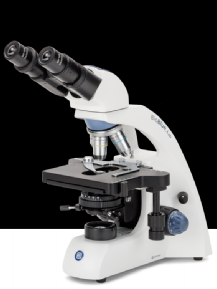 The modern MicroBlue is an entry-level microscope and is especially appreciated when budget is limited. The MB.1152 binocular model comes with an integrated mechanical stage and an Abbe condenser. Thy are equipped with 35 mm achromatic objectives up to 100x (oil). Built-in rechargeable batteries enable cordless operation. 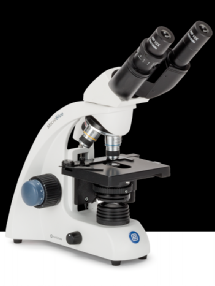 The DIN WF 10x/18 eyepieces and the semi plan achromatic corrected 45 mm DIN objectives of the BioBlue models generate a crisp high-resolution image. When changing magnification the image remains perfectly in focus and centered. The 130 x 130 mm stage with double layered 70 x 28 mm X-Y mechanical stage enable a 2 µm precision positioning of the specimen.